Another card for Addicted to CAS Challenge - Watercolour, again using my new stamps from Viva Las Vegas Stamps - Doodle Flower Garden and Harlequin Diamond Background. 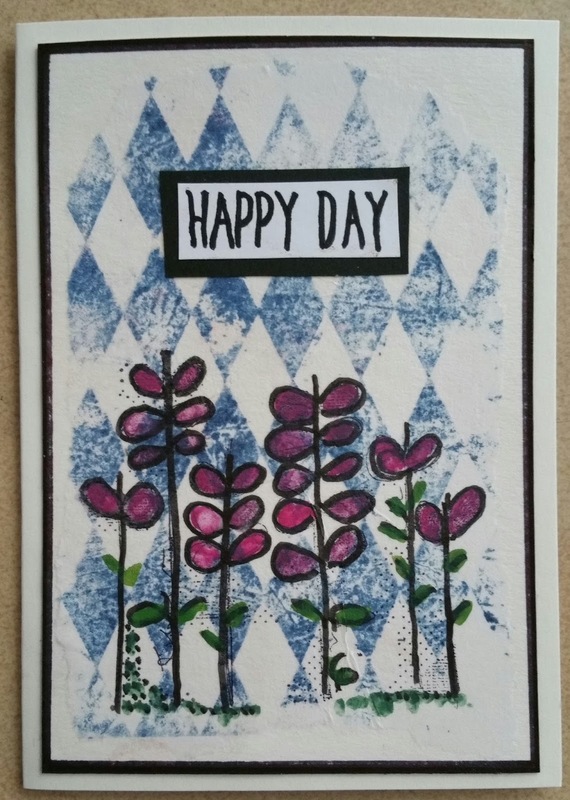 I love how you added the Harlequin background to your beautiful watercolored flowers! So pretty! Thanks so much for playing along with us this week at Addicted to CAS!